Tuesday, August 13, 2019 | 12-2p.m. Please join us in celebrating young ladies of the Boys & Girls Club of Oshkosh. This summer, 50 girls ages 7-10 are participating in a special program taught by friends of the Club. The girls are learning about manners, self-esteem, how to dress appropriately for special events, how to treat others and themselves with respect and much more. The Afternoon Tea will be their reward for completing six character and etiquette classes. As a part of the program the girls receive new sundresses to wear to the Tea. They also get their hair professionally styled by local stylists. Tea and a light lunch will be served including soup, finger sandwiches and petit fours. A short program will feature inspiring words from friends of the Club including lead speaker Becky Curran. 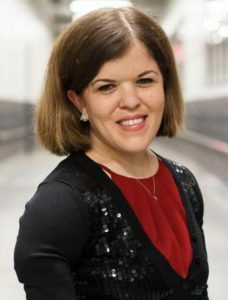 Becky strives to teach acceptance while educating and motivating all people to establish goals and work hard to accomplish them. She is passionate about finding ways to change how little people, and all people with disabilities, are perceived in the media, which ultimately influences the opinions of society as a whole. To learn more about Becky, visit her website. In the past, the Tea has featured amazing speakers from 2012 Miss America, Laura Kaeppeler, entrepreneur and co-founder of Culver’s restaurant, Lea Culver, local jazz music sensation, Janet Planet, Sarah Schmidt, former director of U.S. Venture, Inc., Shannon Bahrke Happe, American Olympic freestyle skier and entrepreneur, Emily Deem, co-anchor for FOX 11’s morning show Good Day Wisconsin and Judy Hehr, speaker author, coach and radio host. This event is a wonderful opportunity to get to know Club members on a more personal level. Please come show our girls your heartwarming support!